After licensing Iron Man to Hasbro for the Hero Vision Iron Man AR Helmet as a tie-in to Avengers: Infinity War, Marvel has returned to the AR well for Avengers: Endgame with the Iron Man MK50 Robot from Ubtech, which was unveiled on Tuesday. With the companion mobile app for iOS and Android acting as the control interface, users can control the walking and talking robot in augmented reality wargames and missions. 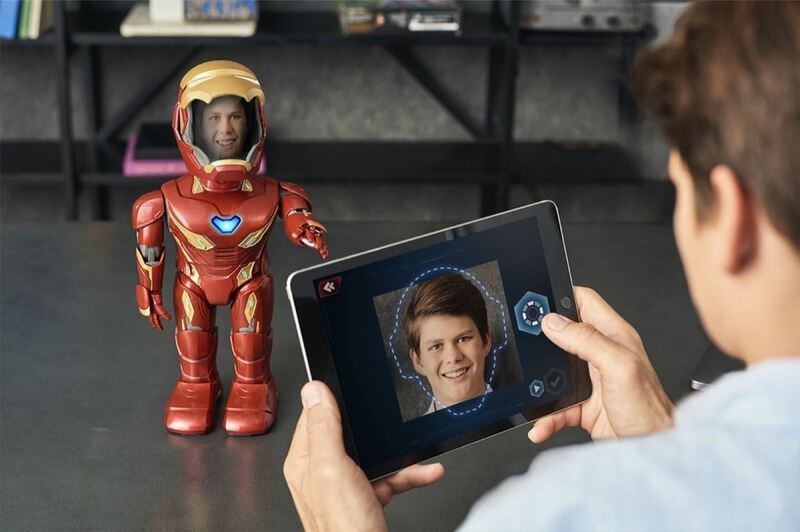 Using their mobile device's camera, users can also insert their likeness on a display beneath Iron Man's helmet. Among the non-augmented reality features of the toy are fully-controllable motors, lights, and sound and an "Iron Guard Protocol" that reacts to sound and light, among other features. The robot retails for $289 and is available directly from Ubtech's website. For iPhones and iPads, the robot and app uses ARKit and requires iOS 11 or later. For Android, the minimum OS requirement is version 7.0 (API level 23), but the experience is optimized for ARCore devices, including the Samsung Galaxy S8 series, S9 series, A5, A8+, Note8, Google Pixel, Pixel 2, Huawei P20, P20 Pro, and the LG V30+ and G6. 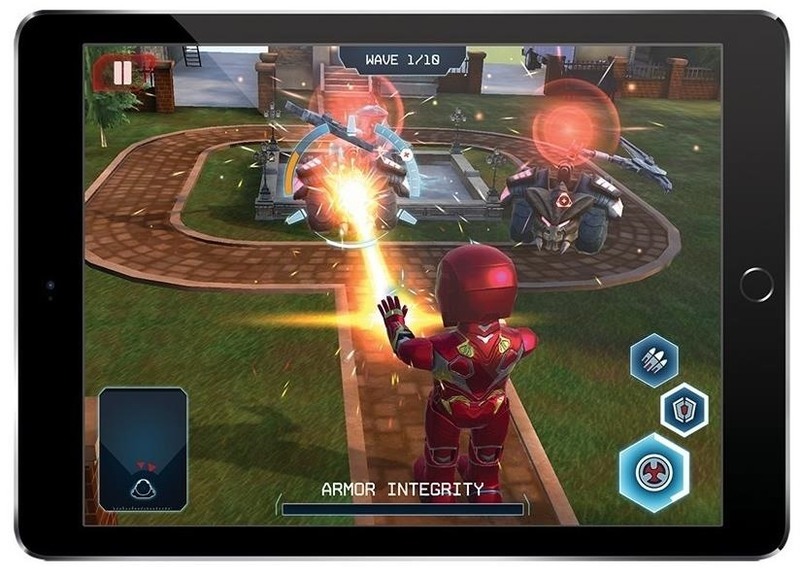 The third and fourth installments of the Avengers films have spawned not only the two AR toys, but also a Playmoji pack for Pixel's Playground app, the cover story for the first issue of Regal Cinema's AR magazine, Playbill, and AR camera effects for Facebook and Snapchat. While there are no official rankings outside of my own observations, Marvel's closest rival comes from within Disney in the Star Wars franchise. In fact, with experiences ranging from an AR playset and a Magic Leap app to an AR scavenger hunt and Playmoji (though Star Wars found its way onto the app back when it was called AR Stickers), Star Wars may actually maintain the lead as the volume entertainment franchise dealer for AR. Then again, the Jurassic Park franchise has upped the ante with many of the same experiences, plus its own AR game. Nevertheless, Marvel is certainly putting a comparable level of effort into AR for its products and promotions. With an expanded roster of characters reacquired from Fox, and poised for movie reboots, Marvel will have even more AR experience possibilities in the coming months.